Nathan Zhao, class of 2019, is a co-editor-in-chief of WSPN. This is his fourth year on staff. 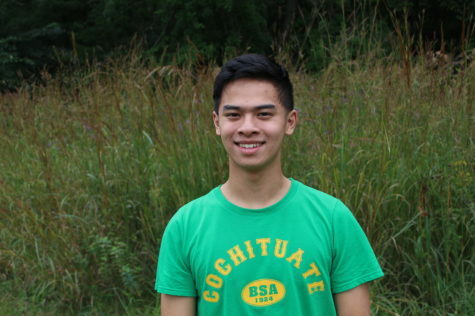 Previously to becoming EIC, Nathan served as the news section editor for two years. Outside of WSPN, Nathan cross-country skis and rows for Wayland High School and Wayland-Weston Crew. He is captain of the speech and debate and MUN teams at WHS. Nathan also serves as the class of 2019's Treasurer and is an Eagle Scout. In his free time, he enjoys debating, camping and eating sushi.